A new meta-analysis may force us to reconsider the benefits of probiotics on our overall health. A team of researchers from Taizhou, China has conducted a study and found that these helpful bacteria helped participants lose weight and lower their body mass index (BMI) scores. 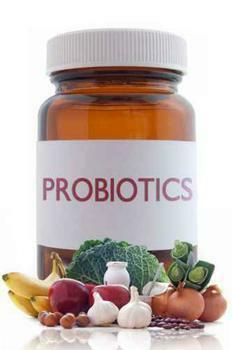 Probiotics, which can be found naturally in certain foods or in the form of supplements, are generally accepted as being beneficial to overall well-being. However, these findings will likely be viewed as controversial, as the medical community has been somewhat divided on just how helpful they really are. “To date, quite a few researchers have investigated the effects of probiotics on body weight and BMI, without consistent result,” admits Qingqing Zhang, lead author of the study. However, this study marks the first time that probiotics were shown to contribute to weight loss. The study combined findings from 25 randomized human trials that analyzed the effects of probiotics on BMI and weight loss. All told, it included information on over 1,900 healthy adults. The findings showed that taking the probiotics contributed to decreased weight and BMI scores, particularly in participants who were overweight. Additionally, the researchers found that weight loss increased after using these substances for eight weeks. Taking more than one type of probiotic also resulted in increased weight loss. The researchers admit that the amount of weight lost during the trials was minimal, but they also say that any amount of weight loss attributed to probiotics could lead to enormous health benefits for the general public, especially in combatting weight-related diseases like type 2 diabetes and high blood pressure. The full study has been published in the International Journal of Food Sciences and Nutrition.